Single mom Meg Remington isn’t looking for another chance at love, but her teenage daughter, Lindsay, has other plans, so she places a personal ad on her mother’s behalf. When it’s answered by Steve Conlan, he actually seems…perfect! But there’s more at work, as the reluctant couple soon discovers. 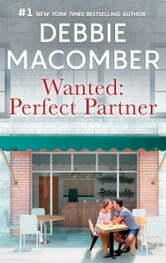 Meg and Steve want to teach their matchmakers a lesson—if only they weren’t really falling for each other! What a great story. The sister and daughter were a hoot. A very funny and cute story.